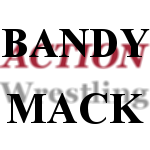 James Bandy is taking on AC Mack at ACTION Wrestling 4 on Friday, October 26, 2018 in Tyrone, GA (Roger Spencer Community Center). Best part? This match will be part of ACTION crowning their inaugural ACTION Wrestling Champion. What do you need to know about these two? AC Mack is brash, and thinks very highly of himself (possibly TOO highly), but he can flat get it done in the ring. Defeating Austin Theory at ACTION Wrestling 3 back in August is a perfect example of this. "The Belt Snatcher" would certainly like to add another one to his already impressive resume. Personally, I'd certainly like to see him get eliminated in Round 1. That may happen, but he will never let that happen easily as he is supremely talented no matter how little I like to admit that. James Bandy is a guy that the fans in Tyrone, GA have really embraced. Like Mack he is also from ATL, but Bandy feels like he is positioned to be a hometown hero type in ACTION. Bandy's got good size, speed, and can also go in the ring. It's been really exciting watching him from ACTION Wrestling 1 until now. He's a guy that I think the live crowd would really like to see hoist that title over his head as the first ACTION Wrestling Champion. As of published time, there are 11 Third Row Reserved available, as well as General Admission tickets. 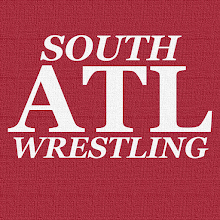 Doors open at 6:30 PM with a Belltime of 7:30 PM. The expectation is that this event will SELL OUT, do not wait to purchase your tickets.